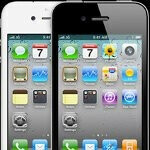 With just a week to go before the release of the Apple iPhone 4S, AT&T and Verizon have cut the pricing of the 16GB and 32GB iPhone while putting the new 8GB version up for pre-order. The price drop follows in the same footsteps as the price drop that the iPhone 3GS was subjected to when the iPhone 4 was set to be released to the masses last year. Verizon and AT&T are both offering the iPhone 4 16GB and 32GB models for the prices of $149.99 and $199.99 respectively. It should also be noted that both companies have begun taking pre-orders for the 8GB version of the iPhone 4. Just as Apple said, it will cost $99.99 with a two-year contract, which is the same price as the 8GB iPhone 3GS when it first came out. As a plus, no updating of the iPhone 4 will be needed as it will already ship with iOS 5 on-board. Verizon and AT&T’s price cut will probably find its way to third-party retailers such as Best Buy Mobile and Target Mobile soon. In fact, Target Mobile has been offering the iPhone 4 16GB model for $149.99 for AT&T for the last couple of weeks. With the drop in prices, will anybody consider picking up an iPhone 4 when the iPhone 4S can be had for only a little bit more? Appreciate the price-drop, but it's not enough. My mother-in-law has been curious about an iPhone for quite some time. If considering the 16GB iPhone 4, for $50 more you can get the 16GB 4S. It seems like a no-brainer. I'm reminded of soda pricing at the movie theater. It's ridiculous, ($5 S, $5.25 M, $5.50 L) but strangely attractive to upgrade to a large soda when it's only $0.50 more. Didn't see this one coming. *sarcasm* The 8GB model launching for the carriers will become extremely attractive to cheap people wanting an iPhone, wanting to join that club. For the record, I didn't thumb you down, but I would have thumbed up if you would have just posted the last two lines: "The 8GB model launching for the carriers will become extremely attractive to cheap people wanting an iPhone, wanting to join that club." That's how my friend got started with loving the iPhone, he got the 3G when it was $99 when the 3GS was the big dog. It's a "gateway drug"...now he has the iPhone 4. Yeah i see that 8gb iphone doing some crazy numbers. Ppl want cheap but still be able to have a great smartphone. Sams Club have the iphone 4 for att and verizon for 99.88 and the 3gs for .96 upgrade and new lines only. These two phones are miles better than Crapdroids. But then again, Target Mobile has the 16gb iPhone 4 for $99.99 anyway.